When I get into something, I really get into something. I started crocheting last year and relentlessly hooked my way to coasters, headbands and half-done mittens. I watched epic YouTube how-to videos on different stitching methods. I developed calluses. Now my yarn and plastic hooks are stowed away somewhere beneath my bed. Last summer’s thing was running. I went from never running ever ever ever to zipping around 5 miles a day. I bought super lightweight shoes because I’d read in a book that running barefoot was a good idea. My knees started hurting. Hello, stress fracture. But more than a year ago, I had a rampant reaction to working at a summer camp for nearly two months and never once having the chance to cook for myself. So much iceberg lettuce and canned black beans. I don’t want to talk about it. That reaction was this. And I haven’t gotten calluses or stress fractures yet. And I sure as poop haven’t stowed it away beneath my bed. Everything’s on the kitchen counter. So let’s dive right into it after that brief sojourn. I’ve never cooked with farro. It’s been a mysterious grain ever since I first learned about it, and I had thrown all of my efforts into finding it. It’s been a long journey through aisles of beans, bulky items, almond milk and the “ethnic” row. I had to answer a few riddles to get there. I practically cried when I found the stuff. Farro has more protein than quinoa. It’s untouched grain. And there’s no controversy surrounding it just yet. 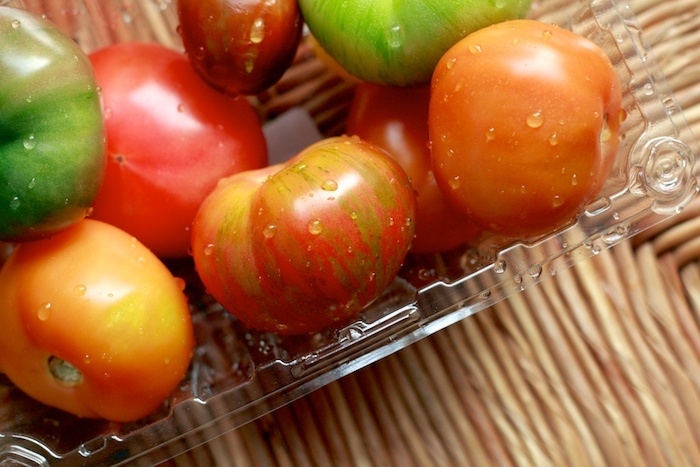 Heirloom tomatoes are such babes I don’t even know where to begin. I mean, come on. Stop. Crispy romano beans. I used to eat this stuff by the bucketload on long hikes. So refreshing. Yum in my face. What’s a salad without some dressing, right? Olive oil, dijon mustard and apple cider vinegar add some zing and refreshment that might make you think it’s summer time. Farro and wine. Let’s get Italian. 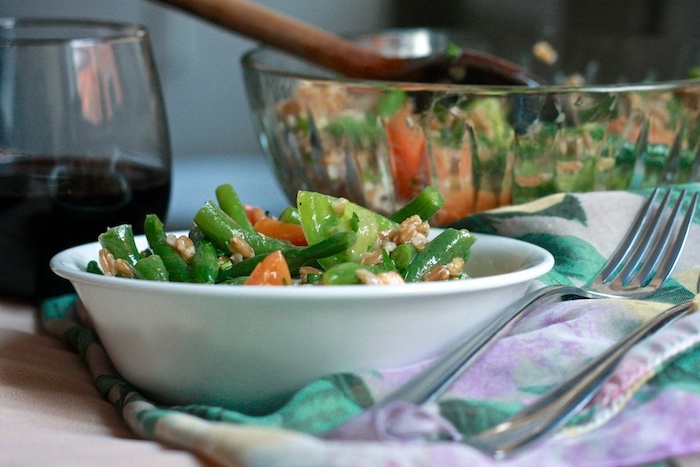 Farro salad with heirloom tomatoes and romano beans. 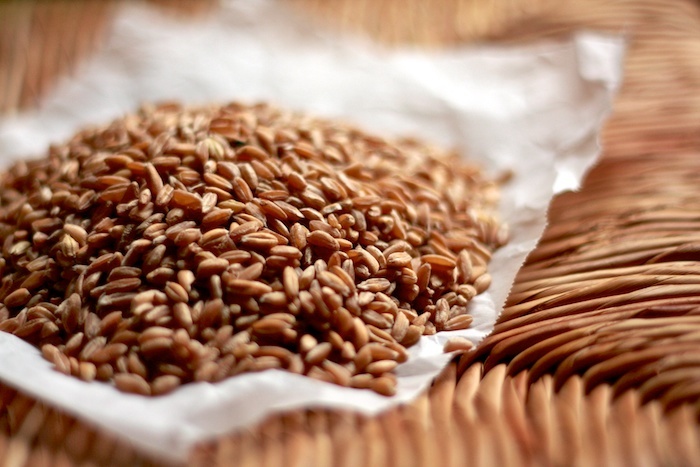 To cook the farro, bring about 6 cups of water to a boil and add the grain. Let it simmer for about 40-50 minutes, or until the grains look like they’ve blossomed. Drain thoroughly and douse with cold water. 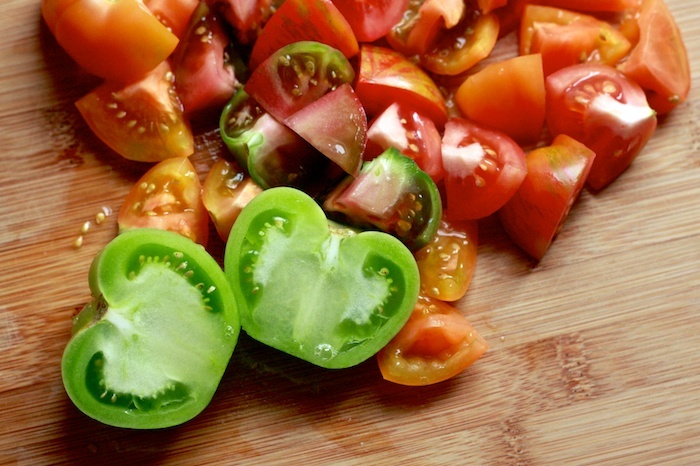 While the farro is cooking, chop the tomatoes and trim the romano beans. 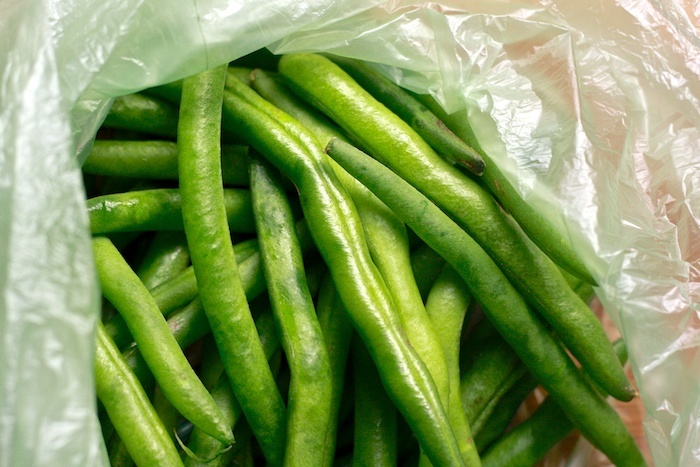 To blanch, bring a pot of water to a boil and add the beans. Cook for about 2-3 minutes and immediately remove from heat before giving the beans a cold water bath. 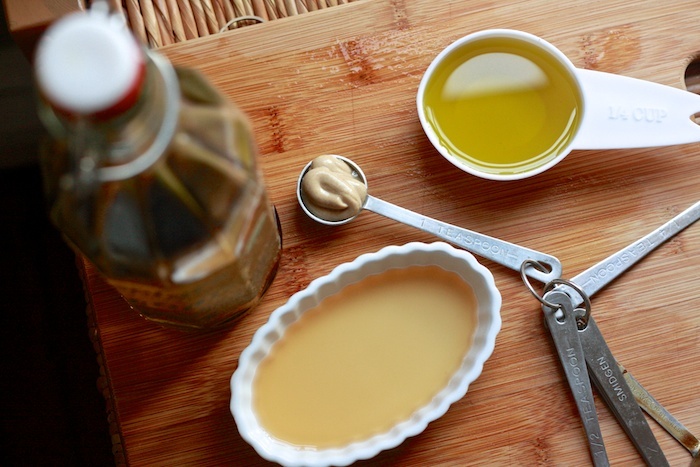 Whisk together the dressing ingredients in a small bowl. 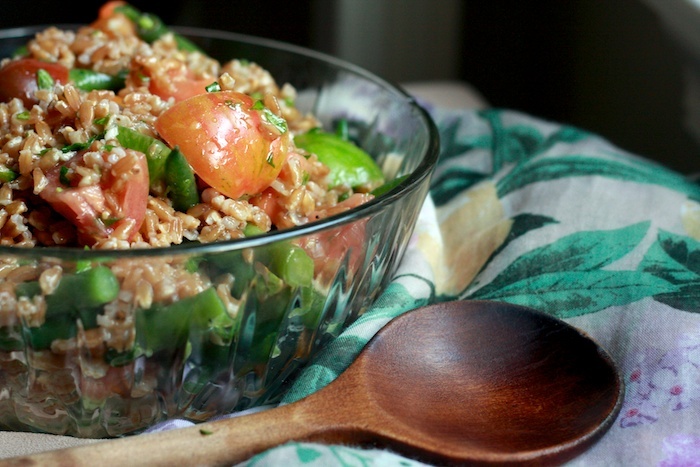 Toss the beans, tomatoes and farro in a large salad bowl before adding the dressing. Toss everything together, adding salt and pepper as needed. Just before serving, top with fresh parsley. Makes about 4-6 servings, which might be just enough to alleviate at least some of the pain caused by this weekend’s Patriots game.